The Husqvarna Z500 series zero turn mower represents the latest design focused on productivity, durability and cut quality. 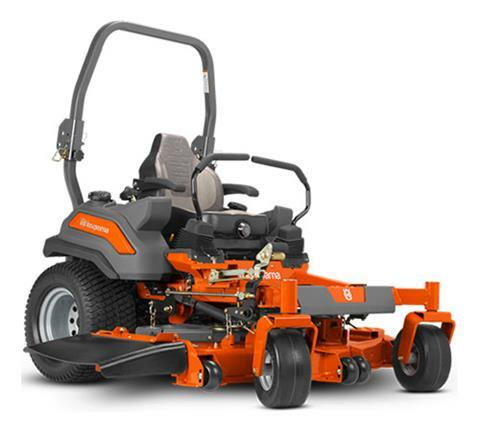 Providing extreme comfort, high ground speeds and superior traction adds up to exceptional mowing efficiency. Industrial strength throughout the entire design assures of a long & durable service life in commercial mowing applications. Careful design consideration provides unprecedented ease in serviceability. AUTOMATIC PARKING BRAKE: The new patent pending parking brake system automatically activates or deactivates as the steering levers are moved outward or inward. 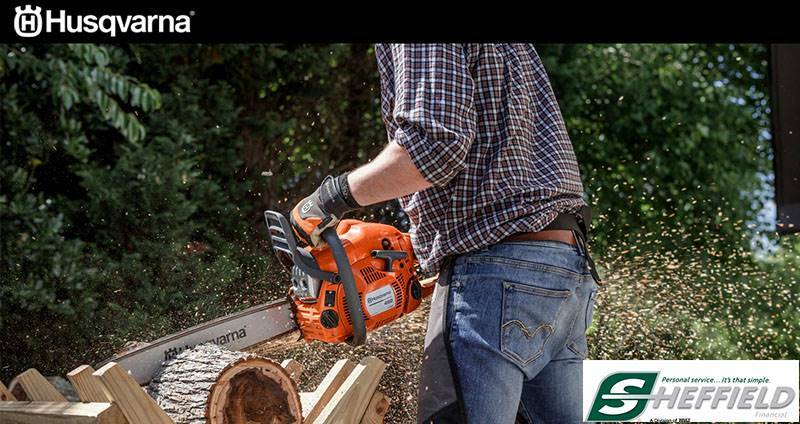 LARGE FUEL CAPACITY: Twelve gallons of fuel capacity for all-day cutting capability. LED FUEL GUAGE: The automotive style LED fuel gauge lets you know exactly how much fuel is remaining and warns you when you are too low. 7 GUAGE FABRICATED CUTTING DECK: A deep draw deck, heavy duty cutting blades and an efficient flow design allow for rapid cut speeds with a high quality finish. HYDROGEAR ZT5400 TRANSMISSIONS: Heavy duty integrated commercial transmissions that improve the operators control while reducing noise and vibration. DECK HEIGHT ADJUSTMENT: Cutting height controls are directly in the operator's view to assure the correct height of cut, location after location. AGM BATTERY: A smaller and more robust battery adopted from the transportation industry provides better reliability, improved longevity and more service space. ROLL OVER PROTECTION SYSTEM (ROPS): The easily foldable ROPS protects the user and can be lowered in areas without the proper clearance. Base machine - 81 in. Base machine (ROPS down) - 46 in. Base machine (ROPS up) - 73 in. With reserve - 12 gal.